Great Stuff Today! Macs, Big Stripers and Lotsa Blues! Short Notice Saturday cancel, walk-on saturday! Also, two walk-on’s for this coming week! 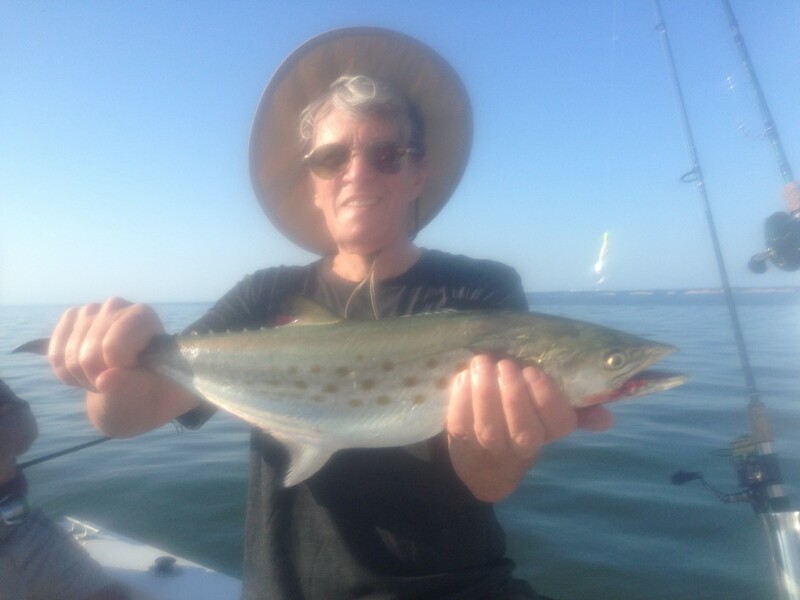 Big Mike….with a BIG summer surface plugged Striper……good go’in Mike!!!!!! Great stuff going on out on Chesapeake Bay right now! 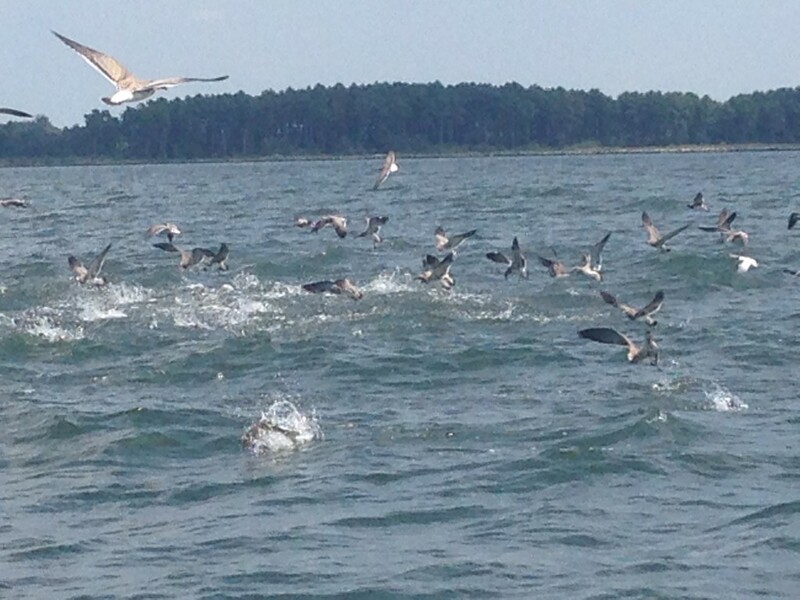 Massive schools of feeding fish making wild craziness on the surface for hours today! 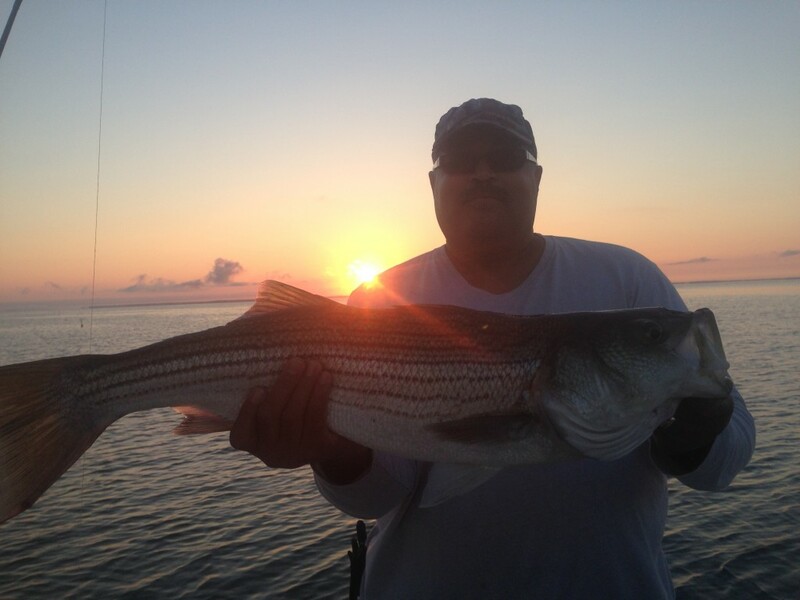 Only negative thing is keeper stripers were hard to get out of the breaking fish…..countless 17″ers. Where are the millions of 2011 19″ers? We did however find some darn big stripers on structure today! Had big mikes 32″er on a surface plug at sunrise and then caught several nice fish on some other structures on the bay. Good stuff for sure! We did pick up some Spanish Mackeral today and countless Bluefish. A great day to say the least! 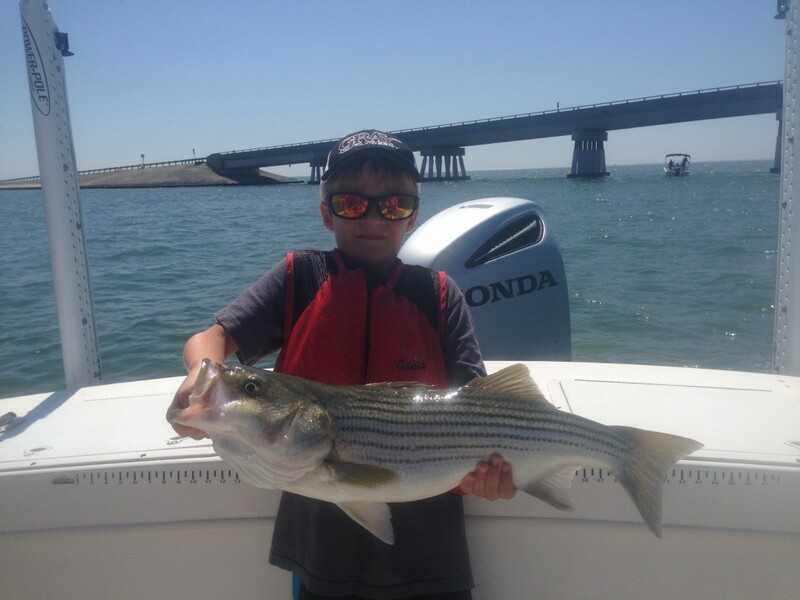 A nice 28″ Striper for a great young “almost 8 yr old” angler! Millions of silversides were being demolished by thousands of 15-17″ Stripers, Blues and Spanish Mackeral today in water from 7′-25′ of water……quite a spectacular scene for sure! This activity was going on over a very large area today…..spectacular! trip…….with a great weather report and an even better bite going on I though a walk-on trip is in order! I provide all baits/tackle and licensing…bring your own gear if you want! We will run all over chesapeake bay hunting for the best bite available! Lots of fun! I will fillet all fish at the end of the trip! no charge! If you are interested in going on this trip give me a call at 703-395-9955 to reserve your spot! All my walk-on trips this summer have been very successful!!!! Learn some if you want…..or just catch lot’s of fish and meet some new fishing friends! 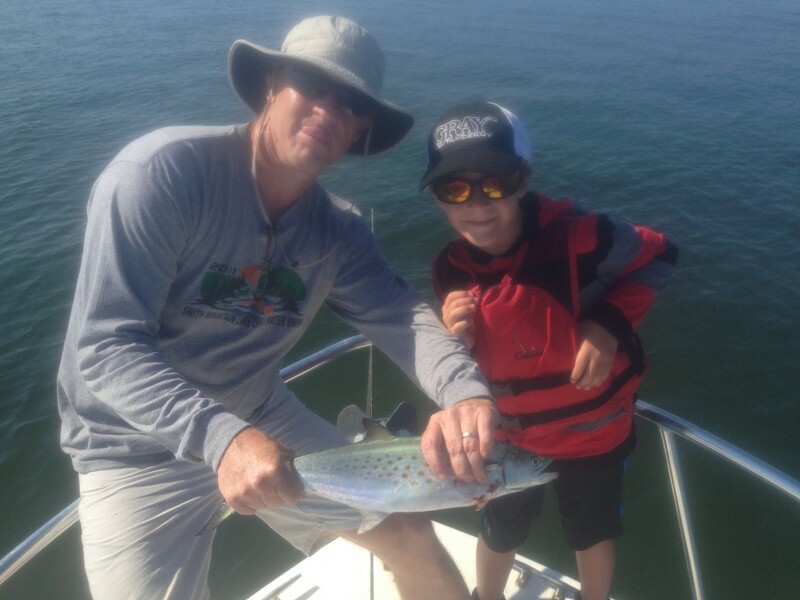 a real nice first Spanish Mackeral for a great young angler! First Spanish Mac from today’s walk-on trip! Good stuff!!! !